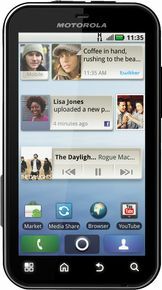 Motorola Defy (MB525) is currently not available in any stores. It is hard not to like the Motorola Defy, but not necessarily for the reasons Motorola wants us to. MotoBlur's good, and we like the Twitter and Facebook integration, and we're happy to be able to bring contacts in from these – and other – sources.